Atlas Doors Northwest are specialists in installing garage doors throughout the Northwest and also advising on roller shutters, sectional garage doors, remote control operators, gates & other products. 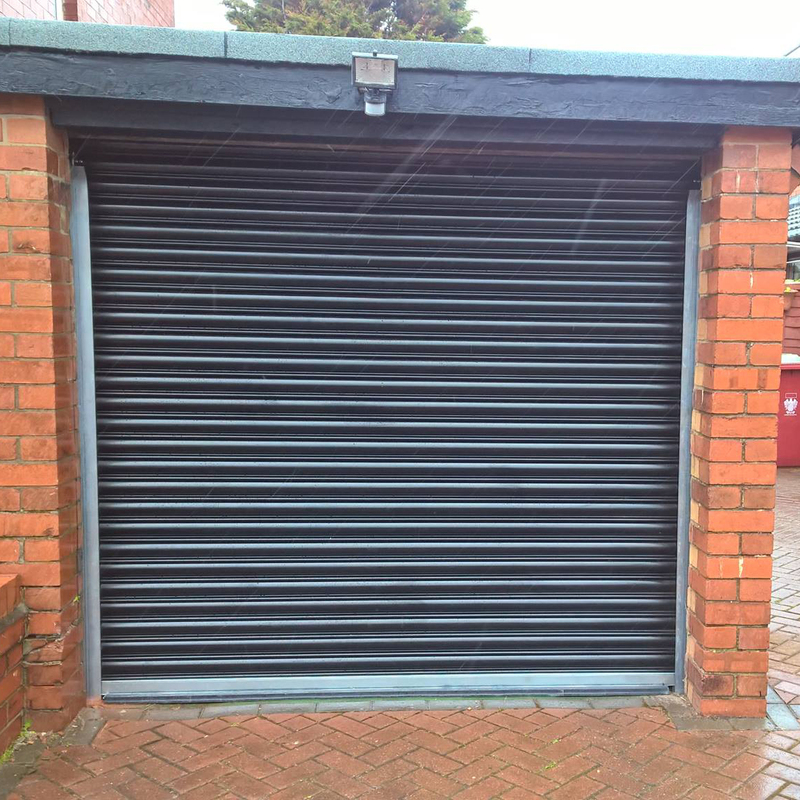 The roller shutter garage door is the one of the most versatile of garage doors as it can be manufactured to almost any size or colour there are certain slat types only. If space is an issue this ultimately provides you with more room on your driveway then you can use for parking and also have the option for additional storage space above where a standard up & over or sectional door would normally open. Another benefit is that you can also park right up to the roller door, outside or inside and still operate it and not have issues with construction from larger, square-backed 4 x 4 vehicles. With a sectional door, it offers the best value for money in any mechanism. The choice of designs, colours and finishes are enormous, the range of sizes go up to 8 metres wide! Another benefit is the security, insulation and weather sealing properties, ease of operation and practicality makes this an ideal solution for any garage. Sectional doors come in a range of materials from steel, aluminium, timber and GRP and a key feature is that they operate vertically with no swing out at all and once open fully can give maximum drive through width and height. We offer the widest range in the Northwest from only leading established manufacturers.